The compilation and publication of a Flock Book as decided by the Board as evidence of the Flock Register on which Flock Histories are maintained by electronic means. Registration in the Flock Register shall be in accordance with the Rules. 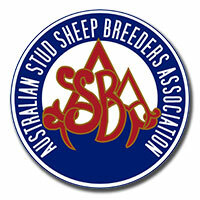 When you purchase sheep registered in the Australian Flock Register, you will be invited to join the Australian Stud Sheep Breeders Association Ltd. Membership will give you access to the Association-sponsored shows and sales and will enable you to make use of the Association's records of flocks, breeding, recording of pedigrees etc.